“I said just six.” Professor Miura said that with a sidelong glance at Chris. “I said JUST six.” He repeated. It was November 15th. 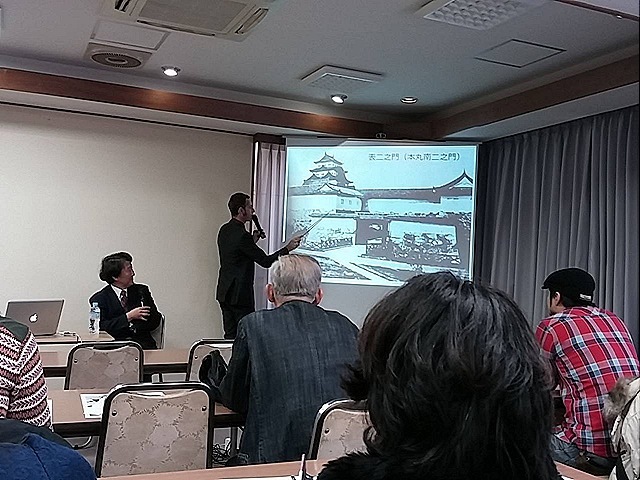 I was attending a lecture on Nagoya Castle. 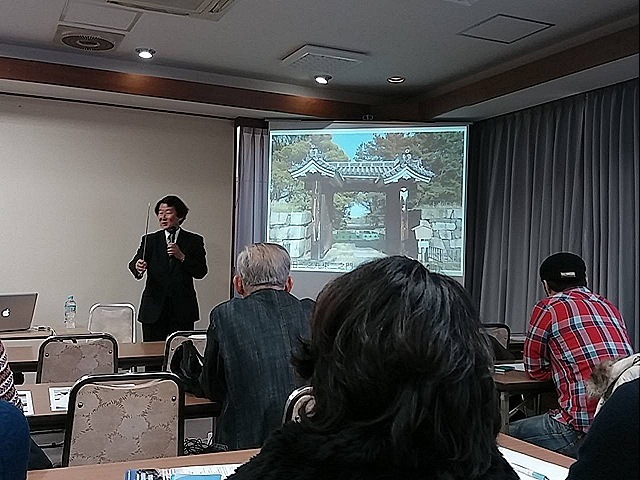 The lecturer was Professor Miura of Hiroshima University. 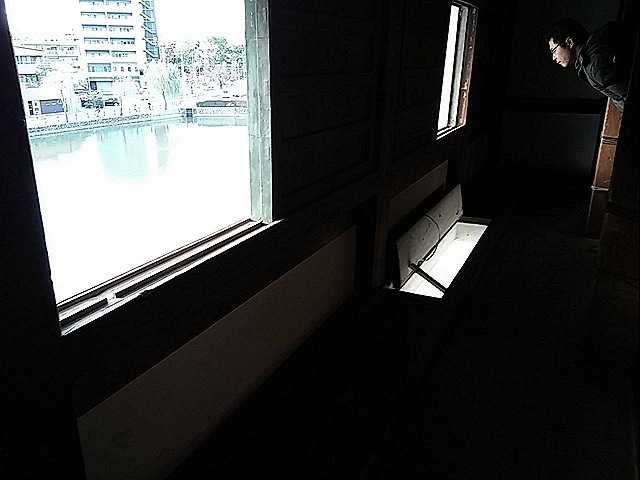 He is a specialist of Japanese castle architecture. 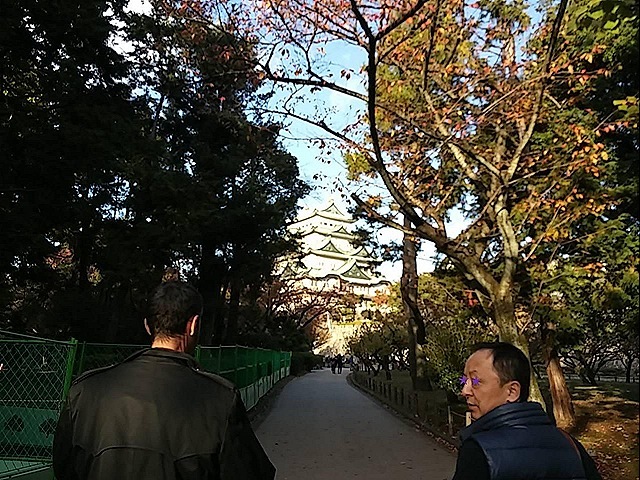 The MC was Chris Glenn, who is famous as a radio DJ and samurai expert in Japan. 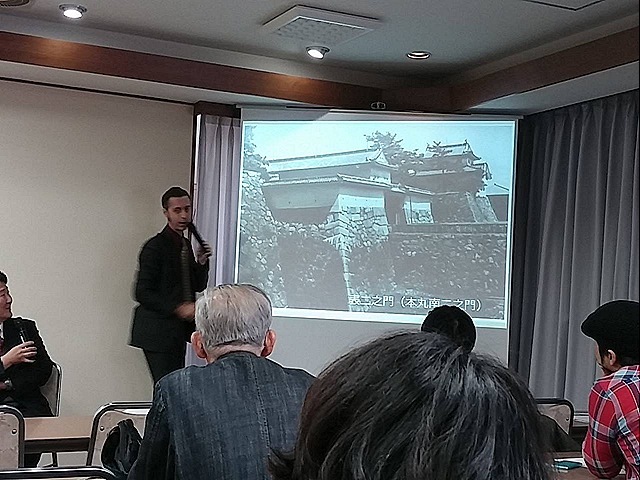 This lecture’s theme was the gates and watch towers of Nagoya Castle. “Oh, yes. Death Box…” Chris nodded. 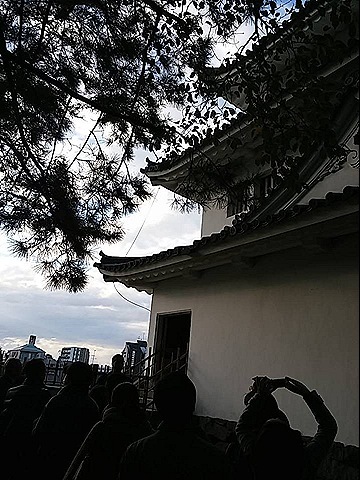 The other gates were also strong. 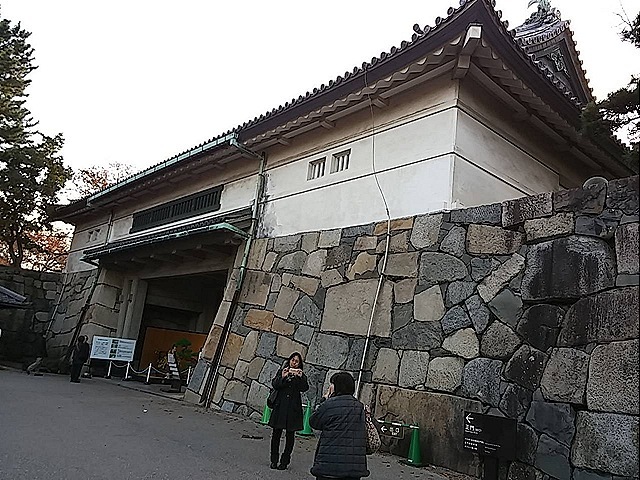 The gate called Omote-Nino-Mon is also known as Kurogane-Mon, which means “iron gate.” It was made from iron just as the name suggests and was about 21 centimeters thick, protecting against not only bullets but also cannon balls in the Edo period. 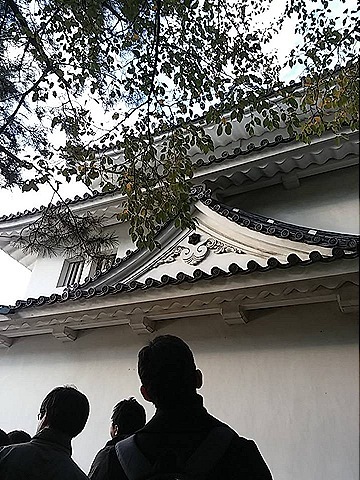 Ninomaru-Ote-Nino-Mon is a gate with a big roof. 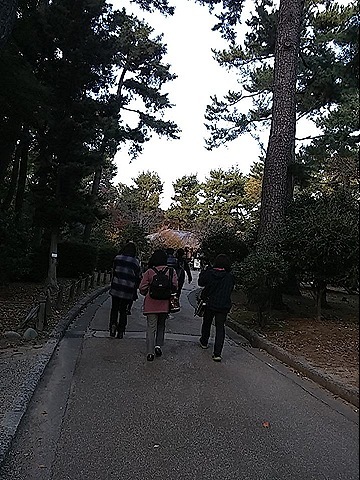 This type of gate is called Korai-Mon. 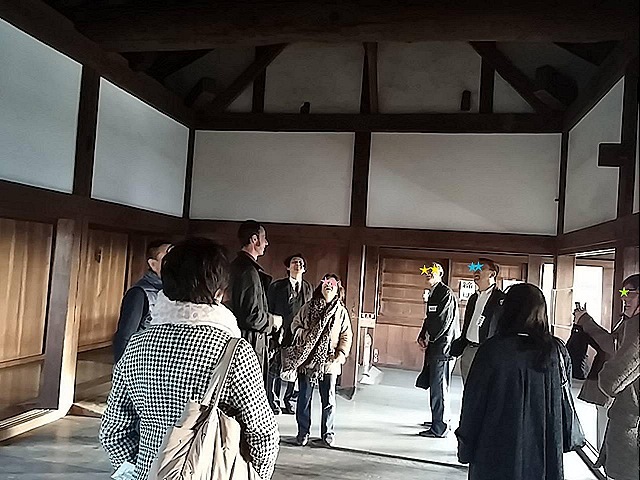 Korai-Mon were excellent at preserving the construction materials against deterioration because of the weather and its unique shape was to allowed archers to shot arrows. 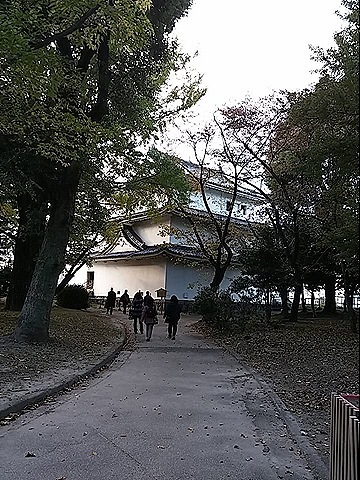 Therefore, the reason there were only six gates in Nagoya Castle, is each gate was much stronger than the other castles’ gates. But you might think, “But enemies can enter the castle from other places.” Actually, they could not. I’ll write about that next time.